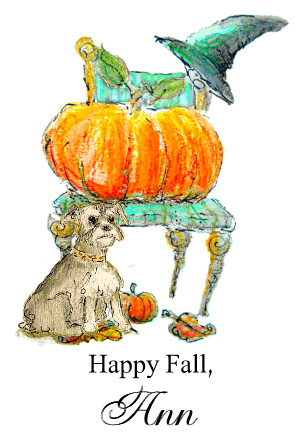 Happy October! I so wanted to stop in yesterday and wish everyone a good week, and good month, but didn’t make it so here I am today. If September is any indication, October will fly by so we need to enjoy every single day. 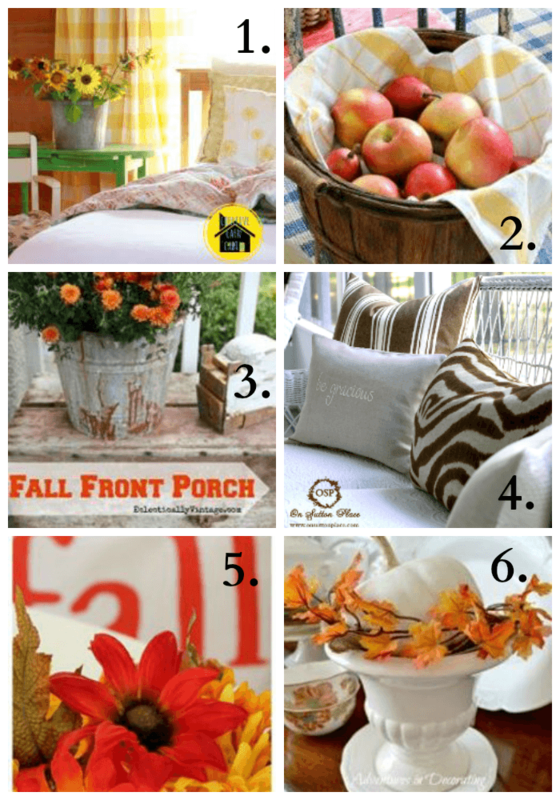 I put together a Fall Around The House Wrap Up in case you still need some inspiration for your fall decor. These girls are all crazy good at adding seasonal decor to their homes and they all have their own special style. If you missed any of Day One here they are! 1.) Creative Cain Cabin 2.) Savvy Southern Style 3.) Eclectically Vintage 4.) Me! Sometimes just taking one small idea from a picture can inspire you to create your own signature look. I know many times I need help with a starting point. I need the seed to be planted and then I can make it grow. Hopefully if you are looking for your seed, you will find it here. Hi Ann, This is so much fun! Thanks for the lovely links and great inspiration! Great wrap up Ann! Thanks for the shout-out! Pinning! Hi Ann! Whew! September went by in a whirlwind! 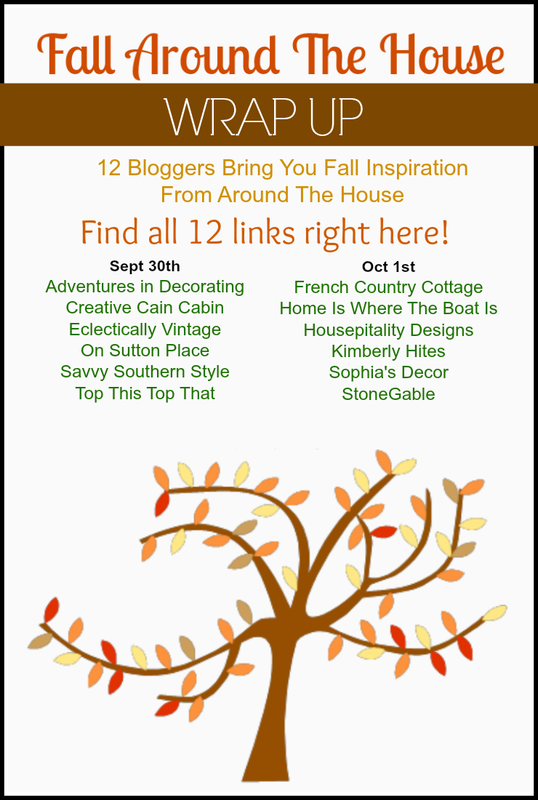 Fall decor abounds in blog land! So many inspiring ideas! I truly think you are the maven for creating wonderful collages. Thanks for the recap. I haven’t had time to visit them all but I think I may visit a couple more today. It’s supposed to be 80 today in Michigan and it looks like a nice day to get out, put some pots away, and get some fall decor done outside. 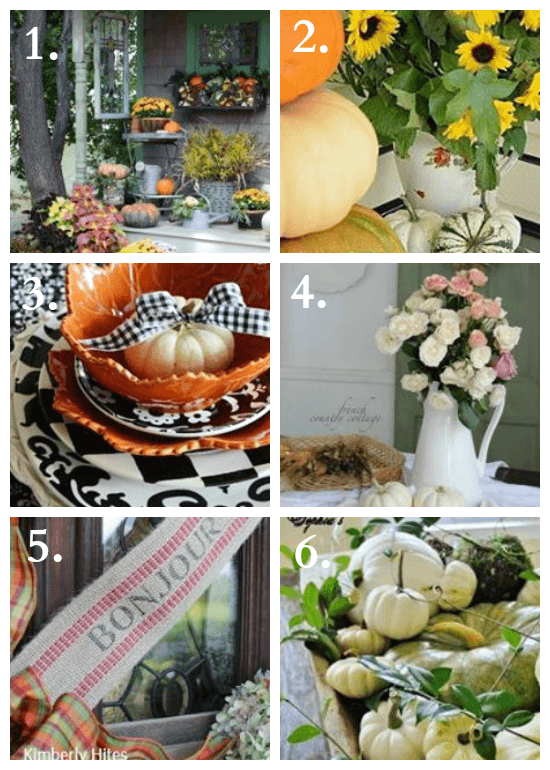 I love how each person has their own unique style and flavor for decorating not only fall but their homes.